"I promise to read you stories at night, to always tuck you in real tight." This guys deserves an award for being stepdad of the decade! Wedding vows are always a tearjerker, but this particular one takes it to a whole new level. 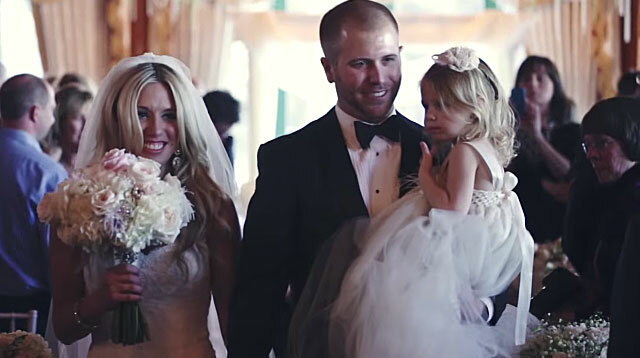 Not only did Brian Scott, a 27-year-old NASCAR driver, deliver a very touching speech for his wife, Whitney, but he also made a vow to his stepdaughter, Brielle. There was not a dry eye in the room when Brian called little Brielle and asked her if he could tell her something.